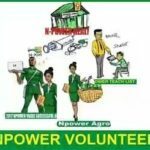 Read Npower News 2019 Here – If you want to check all the latest news update about Npower recruitment, stipends/salary, salary increase, etc, then you are on the right page. 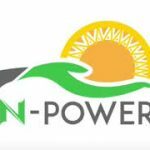 Npower is a programme initiated by the federal government to provide jobs for both graduates and non graduates youths in Nigeria. It has various programmes which includes N-Build, Npower Agro, Npower Health, N-Teach, Npower Tech, etc. All the latest news about these programmes will be provided on this page. For Npower News about the various programmes, follow their respective links below. From time to time, we keep updating this page to keep you abreast of the latest news on Npower. Just bookmark this page and subscribe to our notifications. If you want to stay updated on Npower Latest News, comment below and we will make sure we keep you informed via email.